On the 21st of August, Counterplas Ltd concluded a deal to purchase the trade and assets of Showpla Plastics Ltd.
Counterplas, a leading Midlands based injection moulding company, have been operating under the ownership of Paul Isherwood and Steve Hall for the past 15 years. Clients include multi-national businesses operating in the automotive, infrastructure and material handling sectors. 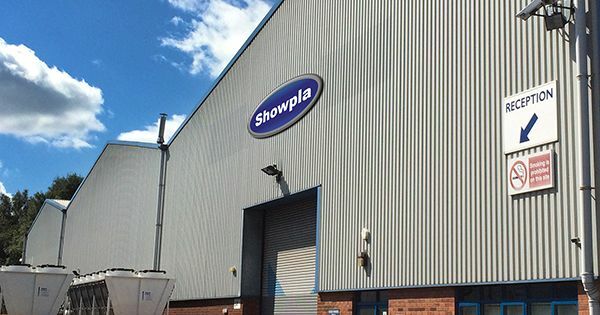 The acquisition of Showpla Plastics satisfies their ambition to become one of the UK’s leading plastics moulding companies, expanding their capacity to 1600 tonnes and providing customers with one of the largest ranges of machines and processes available. This acquisition also complements Counterplas’ client portfolio; adding white goods, packaging, electronics and consumer products to their portfolio. The group will now operate 39 machines ranging from 22 tonnes to 1600 tonnes, covering shot weights up to 12 kg. Technologies offered include twin shot for overmoulding and gas injection. Post-moulding services, including ultrasonic and hotplate welding, screen and pad printing and part assembly are available across the group. Full support is provided from product development through to production. Technical and design capabilities include tool sourcing, prototype modelling, 3D printing and mould flow analysis. The in-house toolroom provides mould maintenance, repairs and refurbishment. Counterplas have always operated an active investment programme in equipment and training, enabling them to provide an efficient and reliable service to their customers. ISO9001 and ISO14001 accreditation demonstrates the high commitment to quality offered by the two manufacturing sites. The strategy of the new business will be to take the best elements of both companies and incorporate them to share a common vision for success.